I’m reviewing another picture book for this week’s Butterfly Book Club but this one is a little different – and incredibly special. 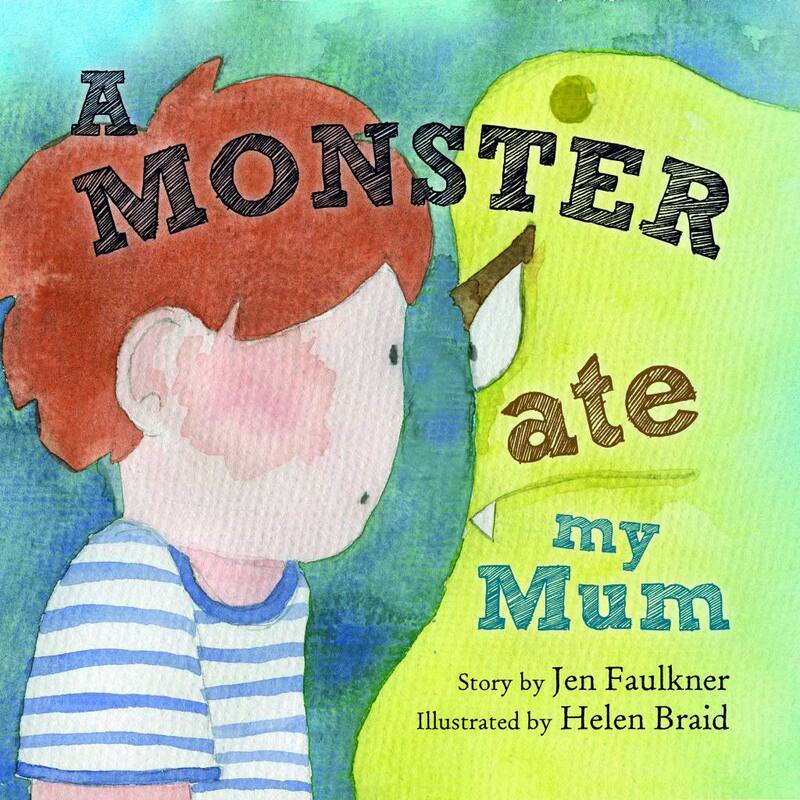 On the surface, A Monster Ate My Mum seems like a fairly ordinary story about a young boy’s encounters with monsters, however in reality this book is written as a creative and sensitive tool to teach children how to cope when one of their parents is suffering from depression. I first heard of Jen Faulkner’s book two years ago when I was in the grip of Postnatal Depression and thought the idea was brilliant. Back then, I couldn’t even contemplate a time where I would consider having another child so, although impressed with the concept, I couldn’t see that this was something I would ever be in need of. Now that I’m hoping for another baby, and subsequently running the risk of experiencing PND again – this time with my older, more emotionally aware son around – this fantastic book could become very important to me personally. The story began life as a poem Jen wrote on her blog and has now been transformed into this beautifully illustrated book. The narrative follows a young boy (he is never named which I like because it makes the protagonist applicable to anyone) who is desperately searching for his mum. She seems so lost and sad lately and he believes a monster must have eaten her. He meets several monsters along the way who confess to each taking something from her (her smile, her spark and so on) until he finds solace in a friendly monster who explains why the boy’s mum is feeling the way she is and what the boy can do to help her feel better. What I love most about this poem is the way it explains symptoms of depressions in such a direct, straightforward way which makes it really simple for very young children to grasp, and also that it makes such a clear point about how the way this boy’s mum is feeling and acting is absolutely nobody’s fault. I’d imagine some young children would worry that they had done something to make their parent feel the way they do and this book goes a long way to debunk that idea. It is a sad and poignant story, of course, and the lovely illustrations of the mum are a little haunting, especially if you’ve struggled with PND yourself, but there is also a lot of hope here. The friendly monster at the end explains to the boy that with kisses, cuddles, time and patience he will get his fun, happy mother back. 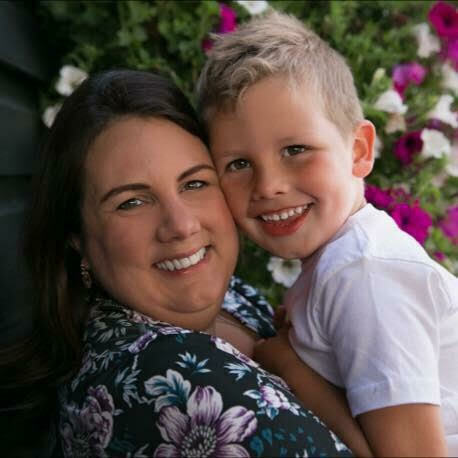 As Jen says herself on her blog, there are picture books to explain almost every topic to children now – from potty training to bereavement – but I don’t know of any others which deal with this topic in such a direct and relateable way. A really useful tool for explaining mental illness to young children. You can buy your copy here, or to find out more about Jen please take a look at her blog, Instinctive Mum. This sounds like a really useful book to help a child cope with a difficult situation. Thanks for the review. I remember when A Monster Ate My Mum came out and I thought it sounded like a fantastic idea. It sounds like a brilliant book for kids. Here’s hoping you never need it, but it’s reassuring to know it’s there if you do! That’s a really useful book for certain circumstances. Brilliant that such a resource exists. What a fantastic idea. I love these kinds of books that help to explain difficult things to kids. I truly believe that *anything* can be explained to a child with the help of a good book. Perhaps children will grasp depression better than adults since they see things in a very matter of fact way!